This book is a study of the doctrines of Grace. These doctrines are the truths of God. The author of this book has defended them masterfully. He has not only proved them to be plainly revealed in the Scriptures, but has also shown that they are of great importance to the children of God for daily use. If Christians did not believe them strongly they would not be able to go on their way rejoicing. It is from understanding these doctrines alone that a settled peace can rule the conscience, the love of God be maintained in the heart, and a holy walk is kept up and Christian warfare that reflects the Gospel is seen. It is from them that all good works proceed, and that all fruits of holiness abound, to the praise of the glory of the grace of God. In the practical view of these points Elisha Coles is singularly excellent. He has brought these deep truths into the Christian’s daily use, and has proved them to be absolutely necessary in daily experience. So we see these doctrines are not only “truths,” but are “useful truths” to the Christian. On these two accounts his book has been greatly esteemed by true Christians. On these I would recommend it (as approved in my own judgment): that it is an excellent study of Word of God, and that these truths are so useful that until I received them in my heart I could not enjoy the blessings and comforts of the precious Gospel. Opposition to these doctrines will always be made as long as there are people in the world who place some confidence in the flesh. These people are pleased with their own works, and fond of taking credit to themselves. But the word of God is not of doubtful interpretation to those who rejoice in Christ Jesus. They are thankful for a free grace salvation, and while they enjoy the things that accompany it, with their lips and lives they desire to bless the God of all their mercies. This is a new edition and I recommend it to my friends from my heart. I wish it might be as useful to all who read it, as it has been to me. May the Lord bless it, and allow it to be the means of building up his people in their most holy faith! This excellent study sufficiently commends itself to those that are acquainted and exercised in true religion. It contains all that the believer’s souls will live on every day. It is a life-giving application of the truths of the Bible for every Christian. Here, children of the Most High will enjoy and exercise sweet communion with God the Father, and his Son Jesus Christ, the Mediator of the new covenant. Here they will find better hopes and surer promises of the doctrines of grace. I have known the Author for a very long time (about 28 years). He has a spirit that is greatly addicted to, and affected with, the savory knowledge of the truths delivered here. The Doctrines of grace have been written on widely in scholarly circles. Even though he has not had the use and help of foreign languages, yet I may compare him with that of Timothy in 1 Timothy 4:6, “He has been long nourished up in the words of faith and good doctrine.” Here he is so well versed in the Bible that he is able to cut the strongest sinews of their best objections and establish the truths in this book. Also, in order to establish the positive truth, he has backed and confirmed these doctrines by solid arguments and pertinent scriptures genuinely explained and opened. Even more so, he is so gifted in his writing, that he opens up the loveliness of spiritual truths of election, and quickening cordials of the doctrines of grace that no Christian can be but comforted. He exhorts and directs the whole company and body of them on how to manage their faith between God and their own souls in pointing to election. He persuades them all to com­mit and give themselves wholly to God’s work in their salva­tion by explaining the way of election. In doing this, he has sprinkled through this book useful exhortations and applications of the doctrines he explains. He also mixes in application for practice with the rational discussions and the more difficult and controversial subjects. Other men have not done this, and to the detriment of the doctrine itself. These doctrines are the very life-blood of the Christian. On these, and other considerations, I heartily commend this study to the well-intentioned reader. I do not doubt that it will satisfy the weakest Chris­tians, as it has approved itself to several solid preachers. I certainly hope that this edition will do as much good to men’s souls as the former editions have done. The blessings of heaven go with it. The doctrines in this study that are declared and proven, have exercised the thoughts and best abilities of many learned men. The opposition made against them by the Pelagians of old, excited many good preachers and theologians to their just defense. Here they received the light and power of their truths, and the church remained in a quiet possession and belief of them for many ages. 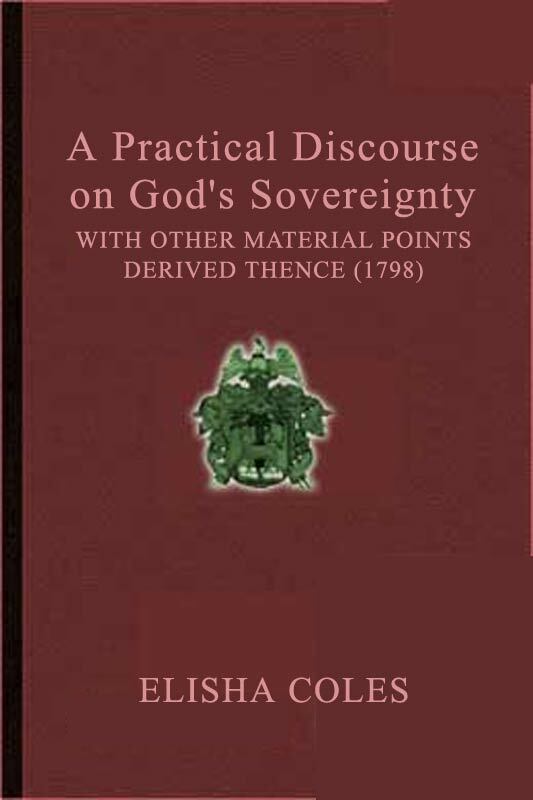 However, lately, the Jesuits, and Socinians, and some others, conspired against the doctrines of grace to overthrow them and they would have, probably, prevailed even now if the Lord had not stirred up the spirit of many and great writers to fight for the truth of His established covenant. We should notice, though resent, how zealously affected some men are in behalf of such doctrinal points that stand in direct opposition to the grace of God, and their own eternal happiness. These men do not spare anything against those godly men who uphold the very truths that make up the mystery of godliness. These wicked men even scandalize and suppress the truths themselves as if reason and learning were given to then so that they could simply vilify the true religion of God. Also, how consistently addicted men are who have taken hold of the Arminian points, and thrive on the most fatal consequences of them. These points of error are so far away from the principles pf truth that they do not yield any effectual influence towards holiness, or well grounded peace, even though the Arminians pretend that they do. I could prove this, but I must be brief. Whatever the ends of these men are, or their interest in defaming the wisdom, sovereignty, and grace of God, God allows it even though their ends may be wicked. God will use it all for good; the Lord’s ends in per­mitting them are always holy and good. We are assured that he would not put up with those dangerous errors and allow them to reinvade his church. He will not allow his glorious truths to be so roughly treated. He will order their further conquest. Though there are many out there who would like to eradicate these truths from the earth, God will raise up men to defend them and promote true holiness and godliness. It is easy to see that the writer of this work used the Bible alone and did not consult with many books on the subject. I mention this in order to magnify the grace of God that was with him. If this point is understood as amazing, then anyone would understand that to accomplish a work like this is due to humble submission to God, and by a serious and diligent study of the Word of God. This study on grace demonstrates the great importance, best use and surest means of instruction. It touches the mystery of God’s will with an orderly and flowing connection of the divine attributes for recovering apostate creatures from their dreadful lapse into sin. It places them in a condition transcendently better than their first state. The author, in making this study, reduces the Pelagian articles to nothing. There are some very important advantages which come out of this study. First, that it is founded and built on the tes­timony of God alone whose authority and truth are the only perfect rule and immoveable basis of divine faith. It is its best benchmark. Secondly, that the doctrines being declared and vindicated here is through the best use of them to excite and influence our hearts and lives according to the genuine tenor and import of those truths. This is in opposition to what the contra­ry doctrines have ever pretended to be themselves. It may be a supplement to other books, where the same truths are worthily contended for, but may be defective in this application of the truths to the Christian life. So, it is not only a work of good use in and of itself, but it also rescues these doctrines from one of the worst scandals that they have been derogated in. Various other reasons might be mentioned for reading this study. We could say many more things that are of help. But, for brevity’s sake, the reader is referred to his good sense while reading the book.